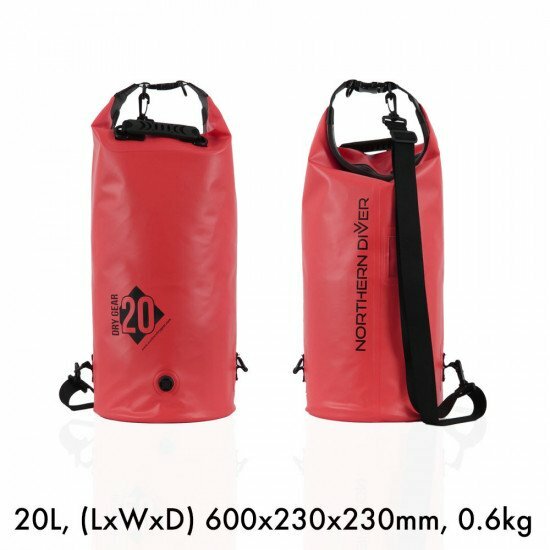 Available as standard in four sizes: 10 litre, 20 litre, 50 litre and 120 litre as well as in two colours: red and black. 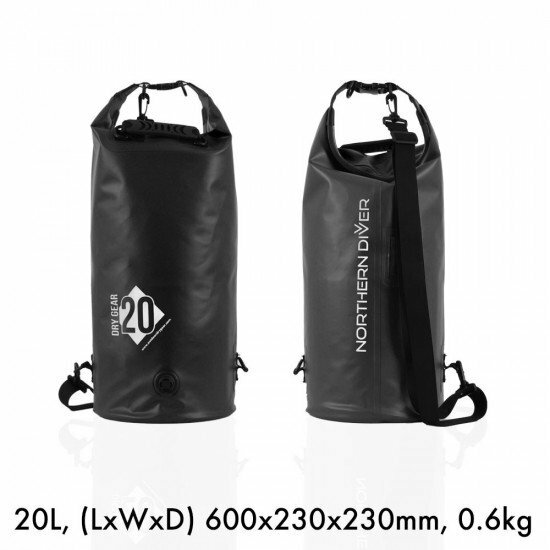 Northern Diver's latest range of roll top dry bags have been revamped to make them our finest design to date. 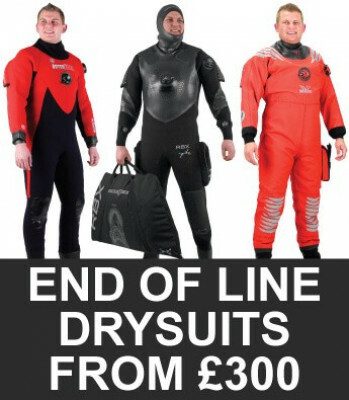 Taking your feedback the new range is available in our most sought-after sizes and colours. 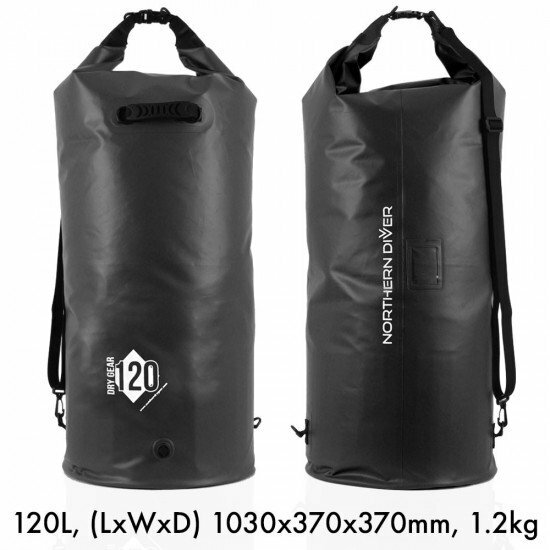 We've also developed a brand new watertight seal, the Dry Seal for the opening at the top of each bag. 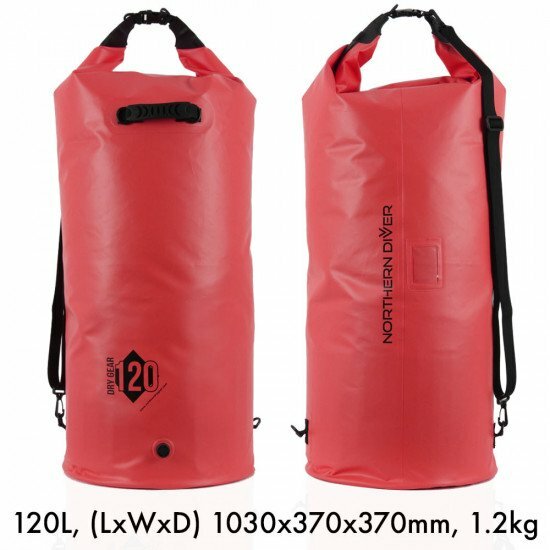 Manufactured from a strong, high quality 420 denier thermoplastic polyurethane (TPU), the bags themselves are flexible and durable. 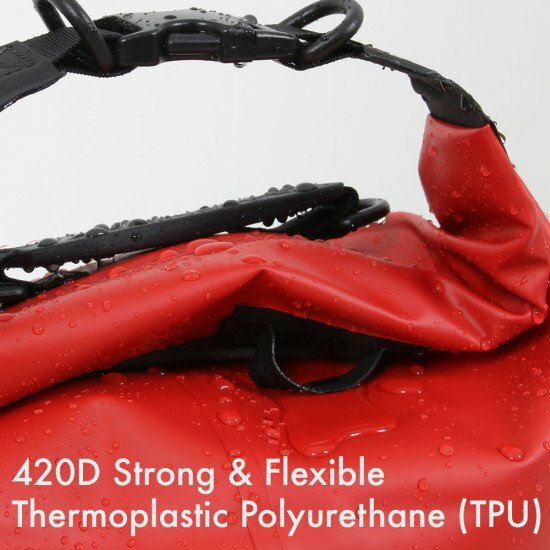 We use TPU because of its elasticity, transparency, and resistance to abrasions, as well as its resistance to oil and grease. 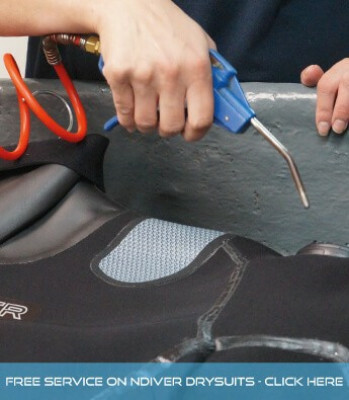 All of our Dry Seal bags are fitted with an air purge valve to help compress kit inside and make sealing even easier. 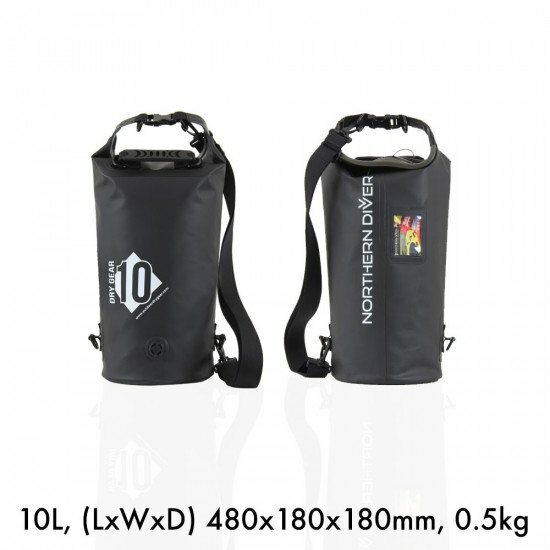 Each bag is also supplied with an adjustable shoulder strap which can be quickly removed and stored inside the bag when not needed. 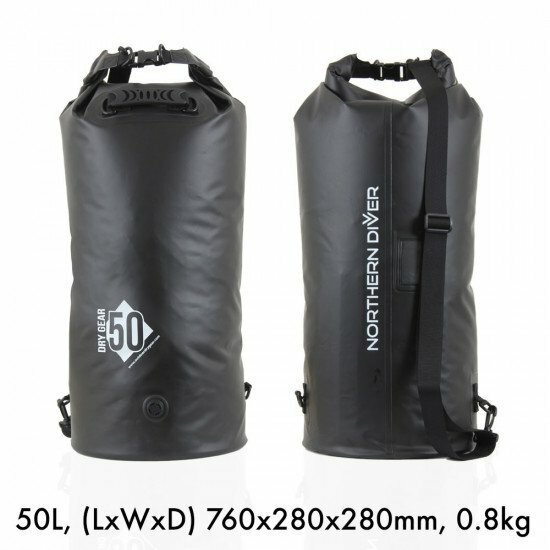 These dry bags are fitted with the same quick release buckles and high quality plastic D-rings our original range has. 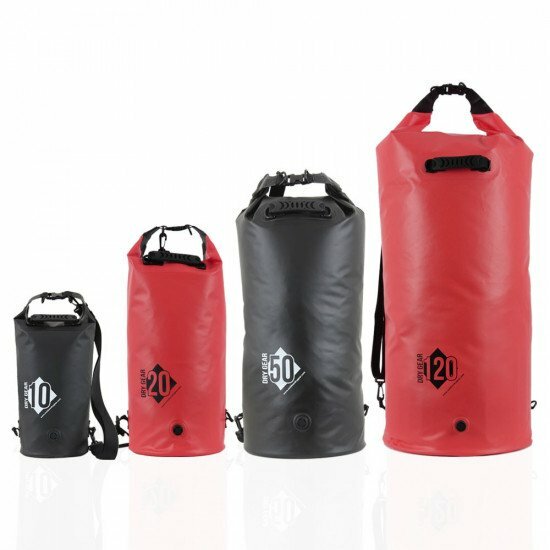 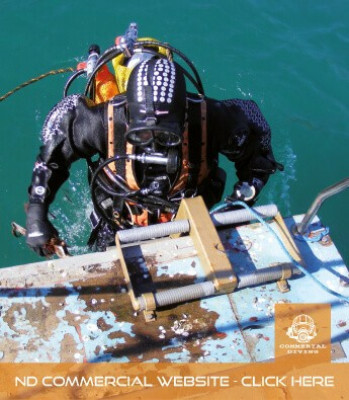 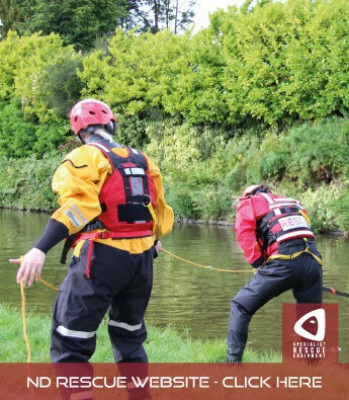 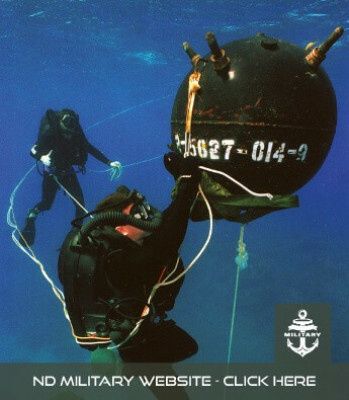 Dry seal bags are sure to keep your kit safe and dry - designed for anything from recreational diving, water sports use to rescue or military use - they're even great for use when camping. 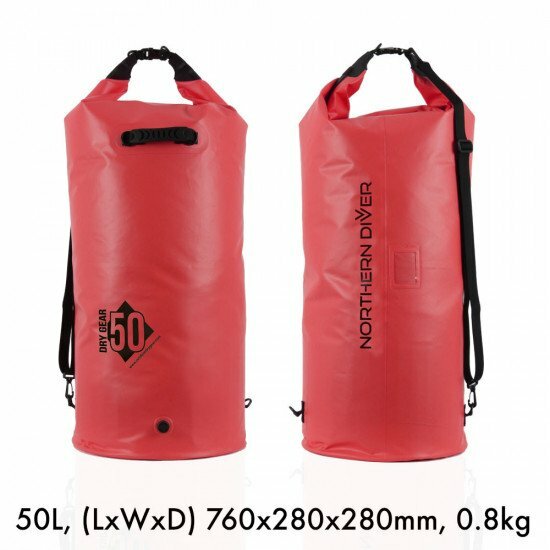 Our Dry Seal dry bags have a secure 100% watertight closure, the dry seal creates a vacuum like seal which is why it won't let water in. 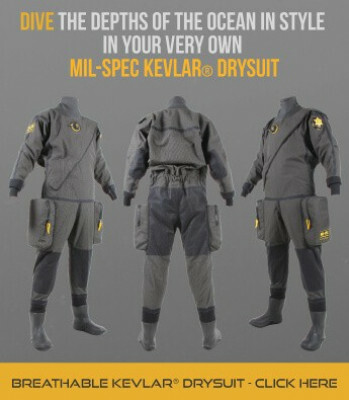 The Dry Seal is so strong when closed that it does takes some practice to use quickly and effectively. 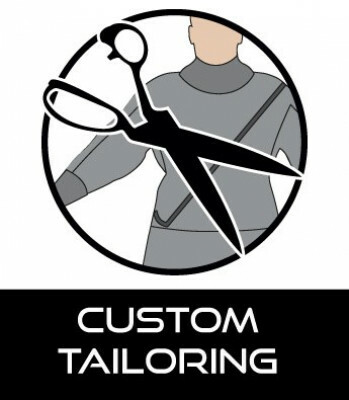 But don't worry, we've included instructions for use. 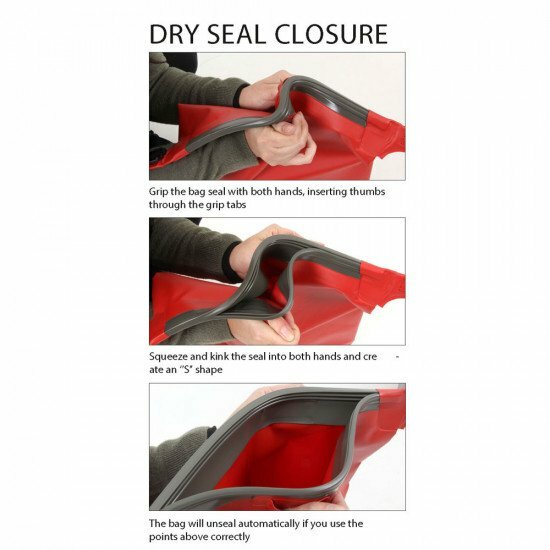 Closing the bags to engage the watertight seal is easy, simply press the dry seal together for an extremely tight, strong closure. 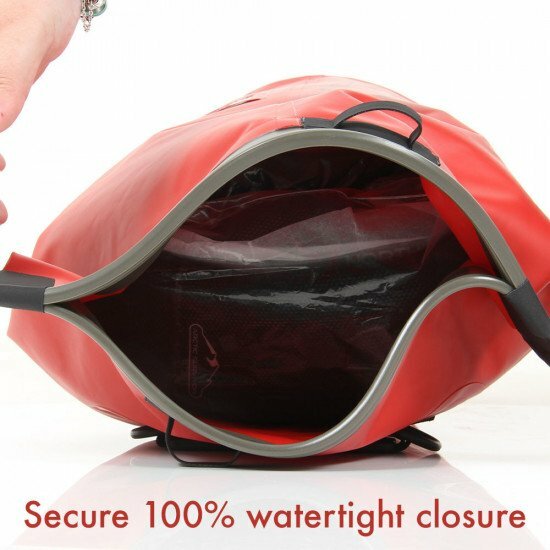 We do advise that you don't try to force or pick bags open - because of their very tight, completely leak-proof fastening, incorrect opening could compromise the seal for future use. 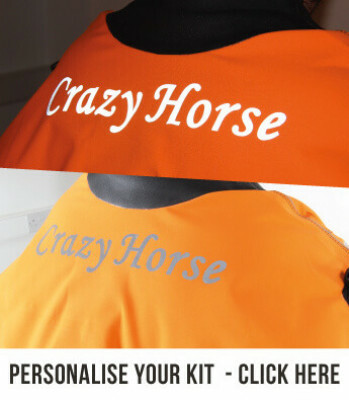 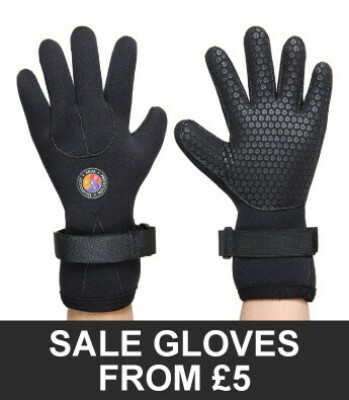 To request personalisation or alternative colours (other colours may be available to order), please contact us to discuss your particular specifications.